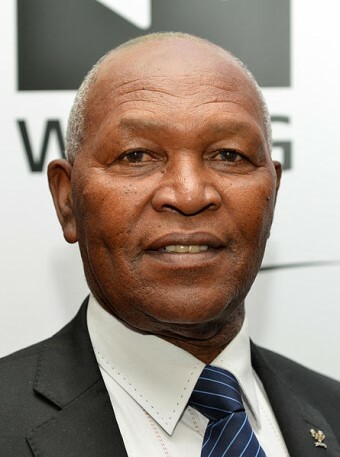 Kipchoge Keino, aka Hezekiah Kipchoge Keino or (thankfully in the interest of avoiding typos) just Kip, is a retired athlete who ran for the country of Kenya. Throughout his career, Kip earned almost a dozen medals, half of which were gold, for being an amazing middle to long distance runner. The story we want to share is the time Kip was almost late for his own race and had to (literally) run to get there, then won a gold medal anyway, despite another major adversity in that race, which we’ll get to in a minute. First, a little info on the man himself, because he’s awesome. We’ll start with his name. Kipchoge is a Nandi expression for something to the effect of “born near the grain storage shed.” If you guessed he came from humble beginnings, you’d be right. Things didn’t get better when both of his parents died when he was very young; he then moved in with his aunt who raised him. If your mind is still trying to work out the maths for that one, Kip ran 16 miles every single day in Kenyan heat without shoes just to get to school- Kip managed this starting as a 5 year old. You may think that with this impressive running ability, Kip was destined to be a runner. After finishing school, though, he didn’t immediately get into competitive running. Instead, Kip became a physical training instructor for the Kenyan police force. At the time, Kenya was not the runner generating powerhouse it is today. In fact, Kip was one of the first great runners the country produced. It wasn’t until the early 1960s that Kip realised that his thighs demanded a greater challenge and he took up competitive athletics on the side from his day job. Though Kip was ultimately one of the finest distance runners of his time- perhaps one of the finest of all time- he didn’t achieve significant results until the 1964 Tokyo Olympics, where he narrowly missed qualifying for the 1500M final. A year later, in 1965, Kip broke two distance running world records (the 1500M and 5000M events respectively) at the 1965 All-Africa Games. A year after that impressive feat, during the 1966 commonwealth games, Kip won a double gold in the mile and three mile sprint events. His greatest feat came two years later during the 1968 Olympics in Mexico City. We say “greatest feat” because for the entire duration of the games, Kip was suffering from crippling gallstones. And we mean crippling- Kip literally collapsed while running the 10,000M. This was especially cruel when you realise that Kip was in the lead when the pain overwhelmed him and he had only three laps to go! By stepping off of the track after he collapsed, he’d automatically disqualified himself. Determined to finish the race anyway, he stumbled back onto the track and, despite the pain, managed to do the final laps, even though it didn’t count. The eventual winner of that race was one, Naftali Temu, another Kenyan who now holds the honor of being Kenya’s first gold medal winner. An honor that almost went to Kip. Now this is where the story gets interesting. Prior to running the 10,000M, Kip had been told by a doctor not to run and that any strain to his body was at risk of causing him serious harm, and in the extreme case could even lead to his death. Of course, Kip ran anyway as noted. Two days after the 10,000M- the race he collapsed in- Kip ran in the 5000M and won a silver medal, finishing just one fifth of a second behind the gold medalist. On top of that, he then ran another 1500M race and qualified for the final of the event. At this point, you may think Kip was tempting fate, but we’re still not done. The day of 1500M final, Kip, presumably due to the fact that HE HAD GALLSTONES, elected to sleep in and there was some thought that he was simply choosing not to race that day when his absence was noticed, given the day before he had indicated he might not given his medical problem. Nevertheless, only an hour before the actual event, he hopped out of bed and headed off to the games. On the bus ride to the Olympic stadium, the bus became stuck in traffic and this is where the story gets interesting. Realising the bus was going to be late, Kip got off and ran the remaining 2 miles to the Olympic stadium while carrying his equipment. Not only this, the man he beat by such a huge margin, Jim Ryun, had not been defeated in the 1,500M in three years. Further, Kip had now raced five times in that Olympics, while Ryun was completely fresh. And, of course, that’s not to mention the gallstones. In the end, Kip finished with a time of 3:34.9, the second fastest in history at that point. To put that in slightly more common terms, that’s a pace of 25.13 km/hr or 15.61 mph for 1500 metres! Seriously, go watch the race here and realise that not only is Kip running with a constant stabbing pain in his abdomen, but that he had just ran 2 miles to the stadium in sweltering Mexican heat. Then, feel angry when you scroll down and see that the video’s description is “Jim Ryun wins the silver medal at the 1968 Olympics“- surely Kip’s victory was a little more noteworthy, eh, YouTube poster? After this victory, Kip went on to win several more medals before eventually settling down in Kenya, where he currently runs a charity for orphans, as well as helped found a primary and a secondary school. For his many humanitarian works in his post-professional career, he was inducted into the World Sports Humanitarian Hall of Fame. Could this guy get any more awesome? During his time as a police officer, Kip was once chased by a buffalo. He outran the beast for a time before leaping into a tree, where he rested until the buffalo went away. As a member of the Kenyan fuzz, besides helping keep the police force fit, Kip would often re-home and take care of any orphans he came across. After winning the 1500M during the 1970, Edinburgh Commonwealth Games, Kip received a letter telling him if he won the 5000M, someone would shoot him. The letter writer seemed blissfully unaware that Kip could (most likely) outrun bullets… He ended up finishing third. THAT WAS A FIND. A HEARTWARMING ARTICLE. MUCH BETTER THAN ALL PHONEY MANAGEMENT MOTIVATIONAL BUKS COMBINED. TNX. WOW!!! That is really amazing.